FEEL LIKE having chocolate at Easter in Belgium? Well, send a letter and really lick that chocolate-flavoured postal stamp. 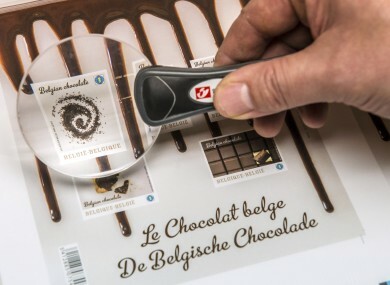 The Belgian post office released 538,000 stamps yesterday that have pictures of chocolate on the front – but the essence of cocoa oil in the glue at the back for taste and in the ink for smell. A set of five stamps costs €6.20 but might leave a customer hungry for more. Email “Belgium introduces chocolate-flavoured postage stamps for Easter”. Feedback on “Belgium introduces chocolate-flavoured postage stamps for Easter”.